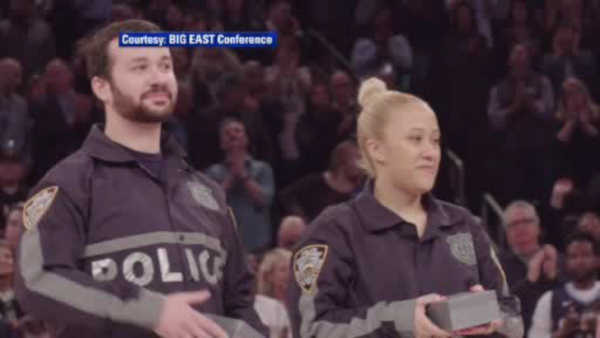 NEW YORK (WABC) -- Two NYPD officers who were wounded in the line of duty were honored during the Seton Hall and Villanova Big East basketball game at Madison Square Garden on Saturday night. 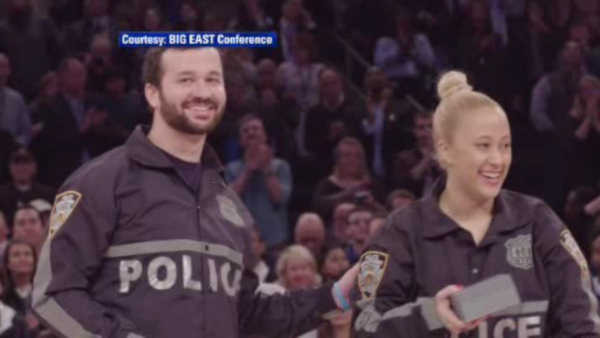 Fans applauded for Diara Cruz, and her partner, Patrick Espeut as they walked out on court during a time out. The Big East Conference also presented the pair with a gift. Cruz and Espeut were shot while on patrol in the Bronx last month.